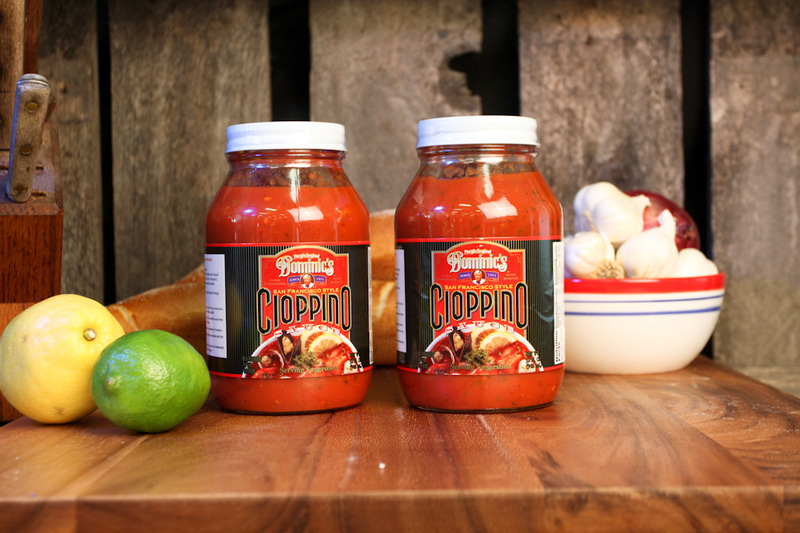 Originally Cioppino was made on the boats while out at sea and later became a staple as Italian restaurants proliferated in San Francisco. Cioppino is a fish stew originating in San Francisco. It is considered an Italian-American dish and is related to various regional fish soups and stews of Italian cuisine. 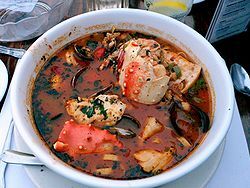 Cioppino is traditionally made from the catch of the day, which in the dish’s place of origin is typically a combination of Dungeness crab, clams, shrimp, scallops, squid, mussels, and fish. The seafood is then combined with fresh tomatoes in a wine sauce and served with toasted bread, either sourdough or baguette. The dish is comparable to cacciucco and brodetto from Italy, as well as other fish dishes from the Mediterranean region such as bouillabaisse, burrida, and bourride of the French Provence, suquet de peix from Catalan-speaking regions of coastal Spain. The name comes from ciuppin, a word in the Ligurian dialect of the port city of Genoa, meaning “to chop” or “chopped” which described the process of making the stew by chopping up various leftovers of the day’s catch. At least one restaurant in San Francisco, the eponymous Cioppino’s, describes an apocryphal story in which the name derived from the heavily Italian-accented cry of the wharf cooks for the fishermen to “chip in” some of their catch to the collective soup pot.